You know what that means…it’s Black History month. As a new booktuber, I am very excited to be able to join in and discuss the books that I am reading. 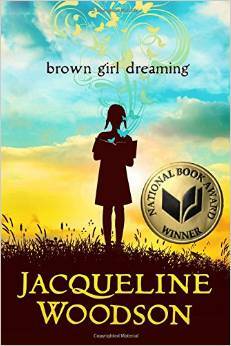 The book of the month is “Brown Girl Dreaming” by Jacqueline Woodson. I am very excited about reading it. I have heard some really great reviews about this book. I will also do a review of it once I am finished. I must say…this is a very beautiful book…just look at the cover.